Inviting you to Entertainment Studios (Located @ 8660 Hayden St. Culver City, 90232) to audition for improv roles. 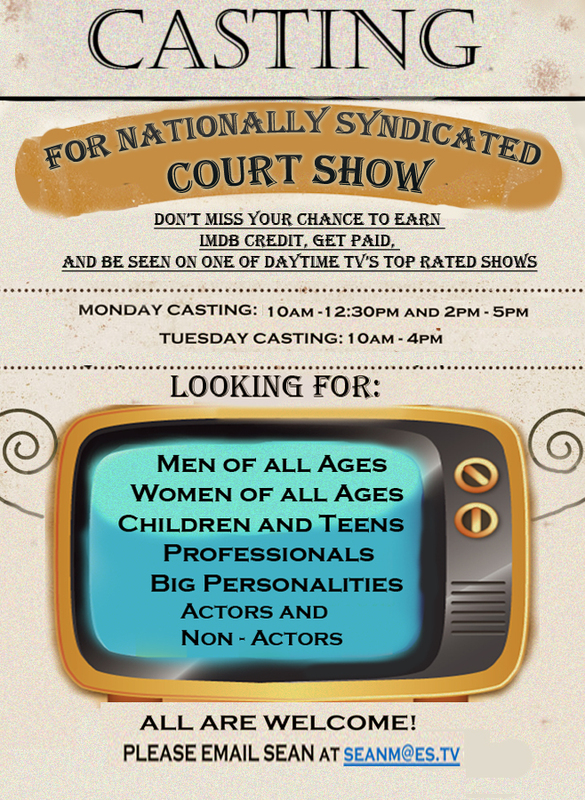 Several producers are looking for new talent to cast for a court series. Compensation comes in the form of $50 for five hours of your time if you are cast. Please be sure to tell a friend! Thanks.